Little Passports is an online subscription service that sends monthly packages of toys and fun activities inspired by cultures all around the world to children of all ages. Parents can choose from amongst four different creative and fun ways to explore the world through these subscription services, with new boxes arriving in the first week of every month for children to open and enjoy. 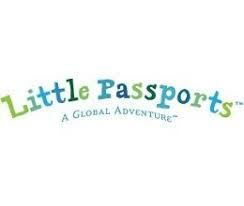 Visitors to the Little Passports website will be able to sign up for a free email newsletter account and get a 10% off discount code towards future subscription, and those that subscribe at a three month, six month, or 12 month interval will receive escalating discounts as well.